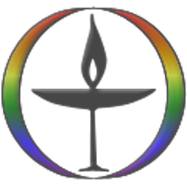 “Respect for the interdependent web of all existence of which we are a part.” That is the 7th principle in the covenant of the Unitarian Universalist Association, of which our congregation is a member church. “The interdependent web of all existence.” That phrase is used a lot in our congregations to describe our understanding of the deep connection which ties all life together. In a few words, it describes our understanding that human beings of all colors, nations, and beliefs matter, but so do whales and clams, coral reefs and pine trees, bees, bats, and gophers, apples and apricots. No one life is more important than any other life – we are all points in the web of existence and when one point thrives or one point is harmed the reverberations shiver along the strands.